Attorney Carilyn Ibsen's Blog: Stopping DWI's through Facebook? 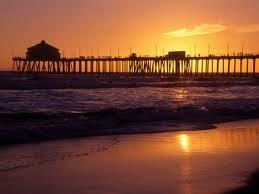 Huntington Beach, California, my former stomping grounds, is in the news today. Citing a method to crime prevention, the Huntington Beach City Council has proposed an ordinance that would post mug shots of people who have been arrested for DWI. I don't really see the logic in this. First, these people have only been arrested, not convicted of a DWI offense. I'm not sure how the Huntington Beach City Council reconciles the constitutional presumption that everyone arrested of a crime is presumed innocent. DWI cases are rejected for insufficient evidence or found not guilty at trial regularly. I spent 2 1/2 of my 6 years as a Deputy District Attorney in Orange County handling Huntington Beach cases. I went on ride alongs with police officers from Huntington Beach, flew in their department helicopter, filed their cases, took their cases to trial. I am familiar with the Department. I liked working with the Department. HBPD is not embracing the idea. The Department has only posted a few booking photos from very egregious cases where the department believed the public was at risk. Police spokesman Lt. Reinhart stated "Law enforcement is not about public shaming." On a side note, had to include a picture of the beach.. Here is a link to the Huntington Beach webcam if you want to escape for a moment.